According to the Chicago Sun-Times, LiLo wanted to promote Obama but was turned away by his camp due to her wild ways. 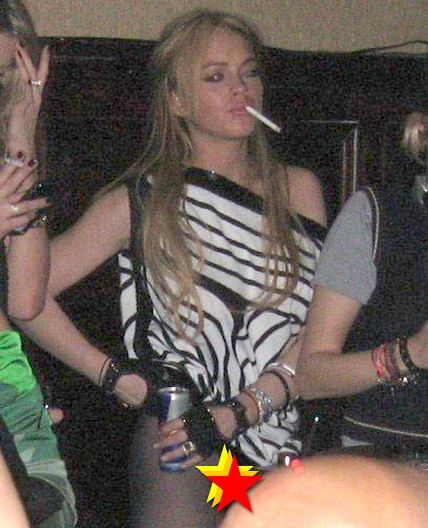 Now daddy Michael Lohan is biting back. “For Barack Obama to condemn my daughter for past indiscretions when he admitted to the exact same himself is indicative of what kind of president he would be,” Michael Lohan told Pop Tarts via e-mail on Wednesday night. Obama has admitted to the exact same past indiscretions? He has admitted to some experimentation with drugs when younger, but this hardly approached Lindsay Lohan levels. Besides, I’ve never seen a picture of Obama out in public displaying a lack of underware. Sluts for Obama? They are right for rejecting this offer. This is Barack Obama’s party now–not Bill Clinton’s or John Edwards’. Posted in Barack Obama, Bill Clinton, Entertainment & Leisure. Tags: Barack Obama, Bill Clinton, Fox, John Edwards, Lindsay Lohan. RSS feed for comments on this post.. TrackBack URL. We heard TMZ’s resident douchebag, Harvey Levin, say the same thing as Papa Lohen and the kids on the TMZ staff let him have it. While LiLo is out partying, at the same age, Barack Obama was in university preparing to go to Harvard Law School.